The Barbet, also known as the French Waterdog, is an ancient French breed and ancestor to many of the breeds recognized around the world today, including the Poodle. The Barbet is gentle, loyal, playful and friendly. Although essentially a water dog, the Barbet also has the abilities of a pointer and setter. A very versatile and intelligent breed, the Barbet works as a gun dog for waterfowl, a herding dog, and a companion who excels in many dog sports and activities. Of medium size, the Barbet has a distinctive thick, wooly coat along with the beard which gave the breed its name ("barbe" is French for beard). 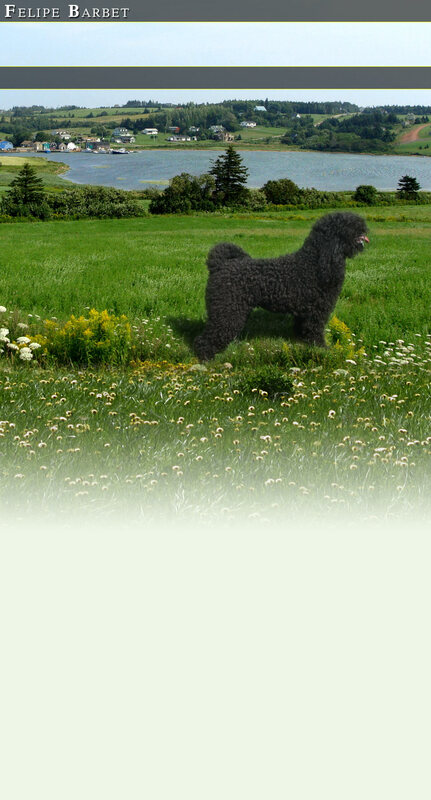 If you are considering the adoption of a Barbet, or any breed, it is very important to be selective in choosing a responsible and reputable breeder. Ensure that the prospective puppy's parents have all health clearances. The breeding of any dog should not be done until after they have been proven to be free of evidence of significant hereditary diseases. Jeremy Ludyka - Cornwall, Prince Edward Island, Canada.